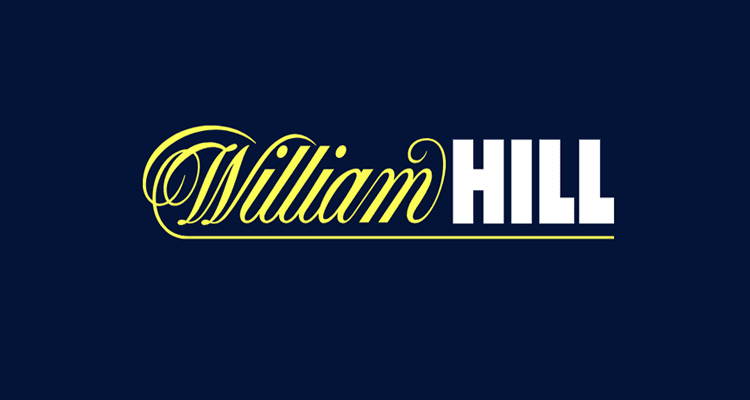 William Hill - Why Play At William Hill Casino & Sportsbook? Claim Bonus! William Hill should need no introduction to UK online gamblers. This online sportsbook and casino site is renowned across the country for being a leading high-street bookie, too. With a reputation like theirs, trust is never going to be an issue. 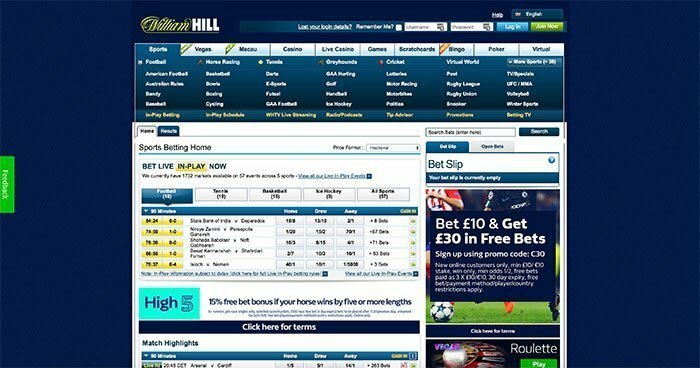 William Hill has been active in the online gambling industry since 1998. Both the Gibraltar and UK Gambling Commission licenses are available. Which make everything legal and above board for UK players. Other good sports betting sites are NetBet and RedBet. This GLI (Gaming Laboratories International) online casino can be played in languages aside from English. Although UK players are going to certainly find the English language and British pound sterling (GBP) setup the most appealing. This mobile and online sportsbook/casino promise two welcome bonuses. With each one earmarked for online sportsbook or casino players, as per your preference. We’ll look a little closer at those casino bonuses in a few moments. Register now and claim bonus! Why Play At William Hill Online? A single account with William Hill Casino will get you access to their sportsbook, Vegas, Macau, live casino, games, scratch cards, bingo, poker and virtual games sub-sites. As you can imagine, this opens up a wealth of gaming opportunities for players. Those games come from an impressive array of software providers. Which include 1×2 Gaming, Big Time Gaming, Blueprint Gaming, Core Gaming, Games Warehouse, IGT, NextGen Gaming. And Playtech amongst others, with the latter providing the lion’s share of games. Those games cover all the most commonly played genres in the online casino world. 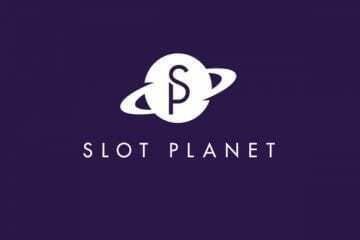 Players can expect to find a full-on selection of slot games. As well as live dealer games, table games, card games, jackpots, and new titles. Lovers of traditional online casino games will appreciate the selection of blackjack, baccarat, and casino hold’em, hi-lo, roulette, craps, sic bo, video poker games and many more takes and variants on card and dice games. Even oddities such as keno get a look in at William Hill. 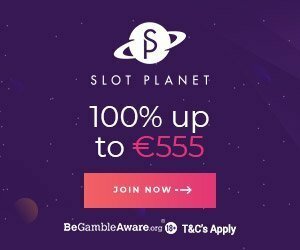 If you fancy trying your hand at live dealer games, Playtech’s selection includes football roulette, blackjack, roulette, hi-lo, baccarat, and three card brag. Non-progressive slots form the majority of the games at the site, with top titles. Including The Great Reveal, Buffalo Blitz, Sacred Stones, Halloween Fortune, Grease, Tiger Claw, White King II, Frankie Dettori’s Magic Seven Jackpot, Drinks on the Beach, The X-Files, Terminator: Genesys, Majiwilds, The Mask of Zorro and more. If you favour progressive jackpot games, you can find all of Playtech’s Age of Gods and DC superheroes jackpot games here, including other titles such as Top Trumps, Frankie Dettori Sporting Legends and Everybody’s Jackpot. Your account can also be used to place sports bets at William Hill. 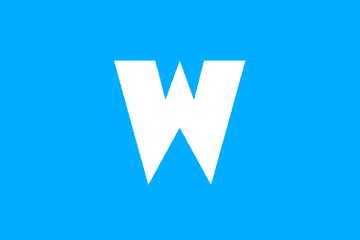 These can include wagers on American football, Australian rules football, baseball, basketball, bowls, boxing, cycling, darts, e-sports, GAA football, GAA hurling, golf, handball, ice hockey, motor racing, motorbikes, politics, pool, rugby league and union, snooker, TV/specials, UFC/MMA and volleyball. The most popular sports betting markets include football, horse racing, tennis, greyhounds and cricket. William Hill’s casino and sportsbook can be played on mobile phones and tablets as well as via computers and laptops. To play on the move, players have two options open to them. They can decide to use the downloadable app from the Google Play Store and Apple App Store. Or they can choose to play at the site via the web browser on those devices. Each offers a decent experience, although the app is more tailor-made for gaming on the go. Other mobile casinos for UK players are 21 Casino and Casilando. As mentioned, William Hill is a GLI (Gaming Laboratories International) certified casino. And one which holds licenses issued out of the United Kingdom and Gibraltar. They are an IBAS licensed bookmaker. As most UK players will know the brand well-enough from their high-street ventures. There is no danger surrounding this entirely trustworthy, experienced and well-respected site. The casino and sportsbook operator offers help and assistance via an in-depth FAQ (frequently asked questions) guide. They also provide support via snail mail, telephone (0870 517 1715) between 09:30 and 21:30 on weekdays and 08:30 and 21:30 on weekends, as well as live chat and e-mail. William Hill accepts deposits worth at least £5 via MasterCard, Maestro, Diners Club, EntroPay and VISA. Deposits made using Pingit, Skrill, PayPal, Neteller, WebMoney, Yandex, EcoPayz, EPS, Euteller, iDeal, Instadebit, POLi, Sofort, Paysafecard and Trustly must be worth at least £10. Bank Transfers have a £25 minimum deposit limit. Maximum deposit limits vary from option to option. Withdrawals at William Hill must be worth £5 with VISA, MasterCard, Maestro, Diners Club, Entropay, Pingit, Skrill, Neteller, WebMoney, and EcoPayz. All others have at least a £25 minimum withdrawal limit, with max cashouts capped at anything from £10,000 up to £99,000 in one sitting depending on the method. Unless you withdraw via an e-wallet, you can expect cashout times of 3-5 working days for most options. Visit Casino and Play Now! New sportsbook members are entitled to claim £30 in free bets when they deposit and bet at least £10 at the online sportsbook. Players must use the sign-up promo code of C30 to claim this offer. Which free bets paid out in three £10 installments and only valid on wagers with minimum odds of 1/2. Pop into William Hill Casino, and you will be able to snap up a more significant bonus. This welcome bonus offer comes as a 100% match which can double a new player’s first deposit. It is worth up to £300 in all. The offer comes with 40x wagering requirements, and bonus winnings are capped at £2,000. The offer expires after 7 days. Other top deals which are available at William Hill Casino include 20 free spins daily for players who stake £15 on selected slots. As well as live dealer and live football roulette promos. There is also a VIP/loyalty program for players to partake in. As well as many more promos spread across the other domains running under the William Hill umbrella. All of those can be accessed with the same account.